September 2012: Green Yellow Blue or chick ‘D2’ was initially a rather submissive bird, but once he was in the final cohort at Slimbridge, he began to assert his dominance. 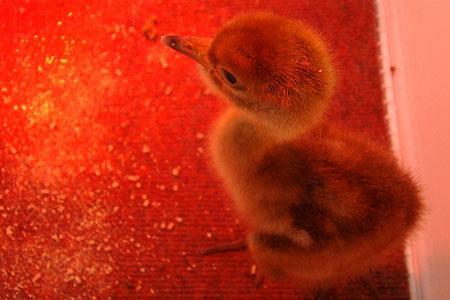 He had always been highly dependent on the crane parents, struggling initially when left alone in the cohort - and became quite a clingy individual. He is a big bird with a thick neck and has a tendency to follow other, older birds rather than lead. 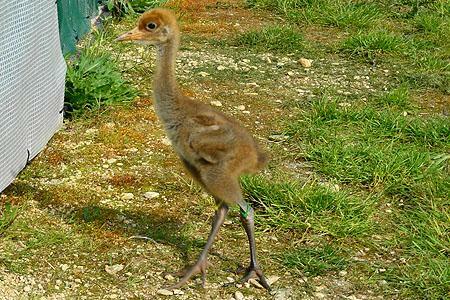 He sustained a leg injury during the rearing phase which meant he had to remain at Slimbridge an extra couple of weeks to recuperate whilst the other birds were transported to Somerset. On arrival in Somerset, he was bullied by the other birds, but since the release he seems to have re-integrated, and displays no sign of his previous injury. On release day however, he did try to fly out and join the gang of 29 older cranes in nearby meadows but (unlike Pickles who seemed to manage to become part of the group for the afternoon) was repeatedly attacked by the older birds - eventually having to fly off and return to the pen for his own safety. 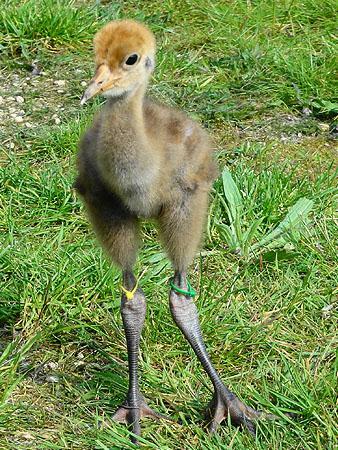 It's tough being a crane! 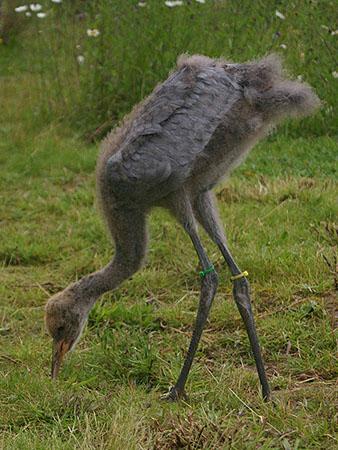 January 2013: As autumn turned to winter, the cranes began to flock together to look for food, which they found in plentiful supply in the form of maize left in fields from the harvest. All 48 have been spending most of their time either feeding in the maize stubbles or on Stanmoor, completely unperturbed by the surrounding floodwater. April 2013: D2 sadly sustained a leg injury in mid February 2013. He struggled a bit over the next few weeks - but was always too mobile to be recaptured for treatment but started to keep to himself and roost alone at night, apart from the main group. His remains were found on March 31st 2013 and we think it likely that a fox had taken him during the night. 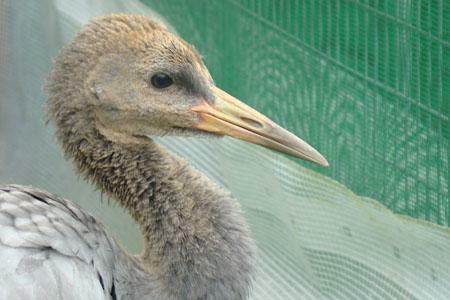 This is only the second bird to have been lost to suspected fox depredation.